Most of us associate the holidays with family, food, and lots of gift-giving. Though the feeling of opening up the item that topped your wish list is awesome, the feeling of gifting something meaningful and rewarding to others is also pretty amazing. The holidays are a perfect time to give back to your community, big or small! Some people opt to volunteer at a local food bank, while others may give a monetary donation to a cause that they believe in—all in the Christmas spirit! But what if we told you that giving back is as simple as ordering your birth control? That’s right—your purchase at PRJKT RUBY will give a woman in the developing world an invaluable gift this holiday season! Here’s how it works: For each month of birth control that is purchased through us, we’ll make a donation to support access to contraception for women in the developing world via Population Services International, a nonprofit global health organization. By taking control of your body and needs, you’ll be helping women who would otherwise have little to no access to contraception or other family planning services. Girls stick together after all! Because so many developing countries lack access to these services, more than 214 million women are being denied the right to choose what is best for their bodies and their lives. 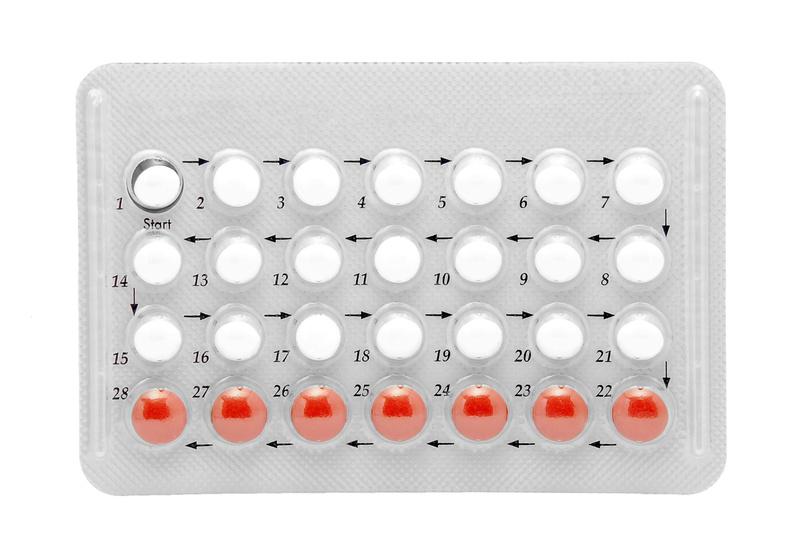 So what we’re saying is… buying your birth control is helping a lot more people than you think! That’s what we call a win-win. By purchasing your birth control, you’re giving some pretty amazing gifts—the gift to feel free in one’s own skin, the gift of avoiding unwanted pregnancies, and the gift of choice. Our TakeCare, GiveCare campaign relies on your purchase to change the lives of women around the world, initially dedicated to empowering women in Africa, Asia, and Latin America. Periods are synonymous with a handful of less-than-thrilling effects on a women’s body – including mood swings, changes in appetite, lethargy, and much more. Because everyone’s body and cycles are different, distinguishing the line between normal and abnormal is a difficult task. Excessive bleeding: The average woman loses between 30ml to 40ml of blood during their menstrual cycle each month. There’s no need to worry if yours regularly brings a heavier flow, as long as it doesn’t exceed 80ml. If you’re experiencing what you believe to be a notable increase in blood loss, it could signify a potential hormone imbalance, uterine fibroids, endometriosis, or a number of other health concerns. Abnormal blood clots: As with blood loss, clotting may be a natural part of your menstrual cycle – it’s the rate at which clotting occurs that could raise a red flag. If you experience abnormal clotting during your period, be sure to see a doctor as it could be a result of uterine fibroids. If ignored, clotting has the ability to create a blockage and lead to serious illnesses and infections. Severe cramping or back pain: Contrary to popular belief, painful periods are not the norm. While mild cramps come with the territory, they should never be unbearable. When pain is extreme enough to keep you from day-to-day activities, is not susceptible to over-the-counter pain medications, or lasts more than three days, it may be a sign of serious health issues. Don’t let stigma or shame keep you from addressing possible issues – when it comes to your health, it’s always best to err on the side of caution. At the end of the day, you know your body the best, so be sure to listen to it and seek attention if you fear something isn’t right.